Fire Safety Rocks: How Sweet! This is our Facebook friend, Velvet. Isn't Velvet adorable? 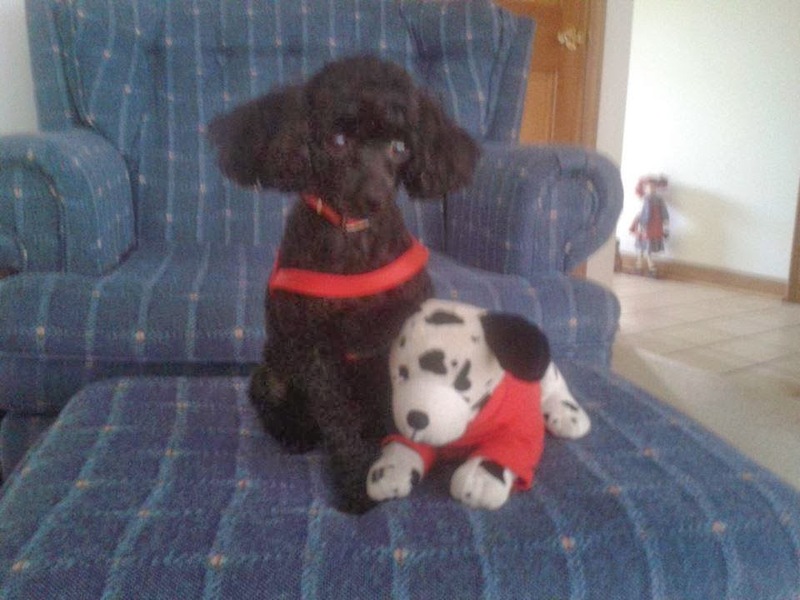 Velvet's human, Rhonda, sent us a note saying that Velvet named her new stuffed Dalmatian, "Molly," after me! Isn't that so sweet? Thanks for the picture Rhonda and Velvet! We are going to show your picture during the live stream of Sparkles' Safety Spot tomorrow morning!